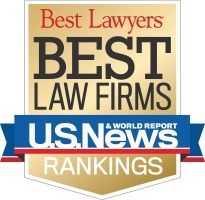 We at the Kosieradzki Smith Law Firm are pleased to announce that we have been named by U.S. News & World Report – Best Lawyers as one of the “Best Law Firms” in the U.S. We received a Tier 1 ranking. U.S. News & World Report and Best Lawyers teamed to rank nearly 12,000 firms, including a large number of one-person firms, with more than 6,000 firms receiving Tier 1 national and/or rankings organized by specific metropolitan areas. The Kosieradzki • Smith Law Firm represents clients in cases involving catastrophic injury caused by nursing homes and other care facilities that fail to provide proper care. Take action today and contact the Kosieradzki • Smith Law Firm online or call us toll-free at (877) 552-2873 to set up a no-cost, no-obligation consultation.